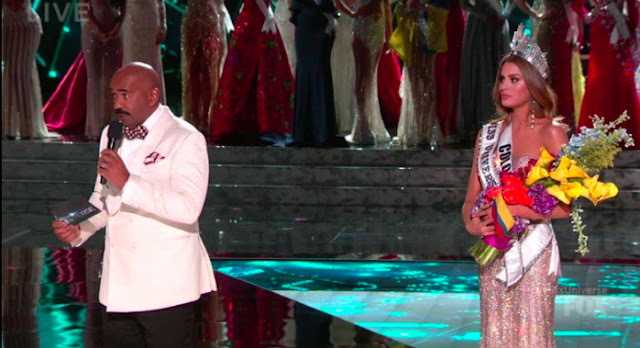 Earlier today, American TV host Steve Harvey made an epic mistake on live TV as he crowned the wrong girl in the prestigious Miss Universe pageant. Apparently, the Family Feud host and comedian misread the card on which the winners were listed. Harvey had no choice but to own up his terrible mistake and interrupt Miss Colombia Ariadna Gutierrez-Arévalo who was already crowned and waving at the audience inside the Planet Hollywood Las Vegas Resort & Casino. 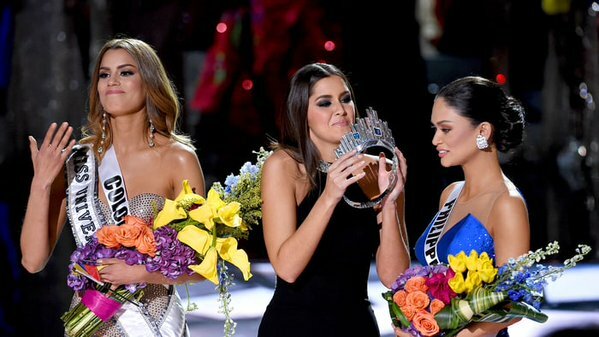 In probably the most awkward moment in pageant history, Harvey had no choice but to do the right thing and announce the rightful winner: Miss Philippines Pia Alonzo Wurtzbach. In an instant, the Internet exploded with various reactions on Harvey’s legendary error. In just a matter of minutes, Harvey was reduced into hilarious memes and tweets by disappointed viewers and equally crazy and creative people in social media. Indeed, the Internet is one cruel place for imperfect people like Harvey. Here are the 10 funniest reactions to Colombia’s most hated man today. 4. The man has gone down in Miss Universe pageant history. 5. Does anyone need an interpreter? 6. It was tough day for Harvey. 7. You gotta give Leo his shining moment! 8. Guess who’s not invited? 9. You only had one job.